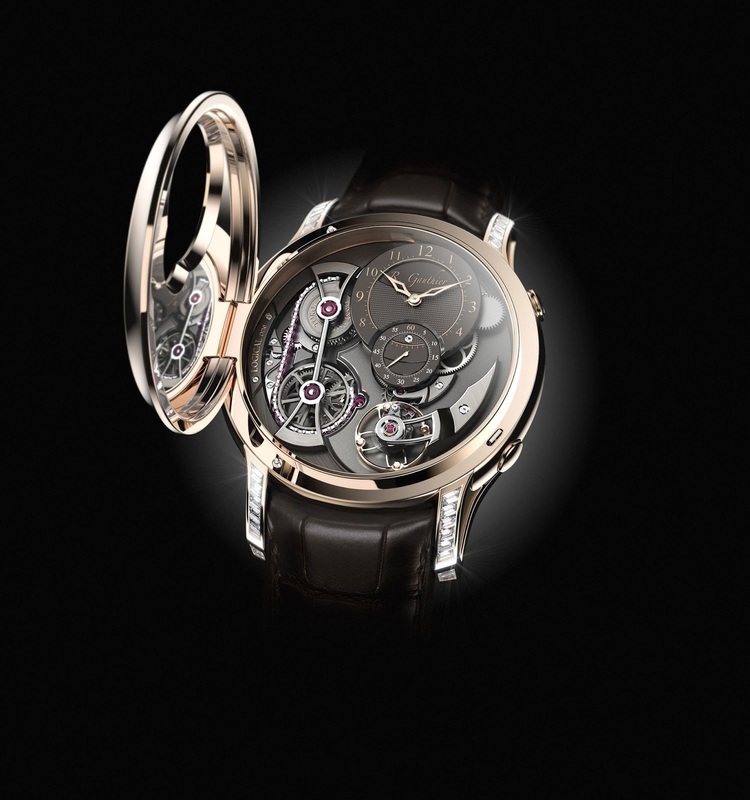 The independent Swiss luxury watch company Montres Romain Gauthier made its debut at Baselworld 2007 with the Prestige HM, featuring his own in-house manufacture movement. The Prestige HMS followed in 2010. 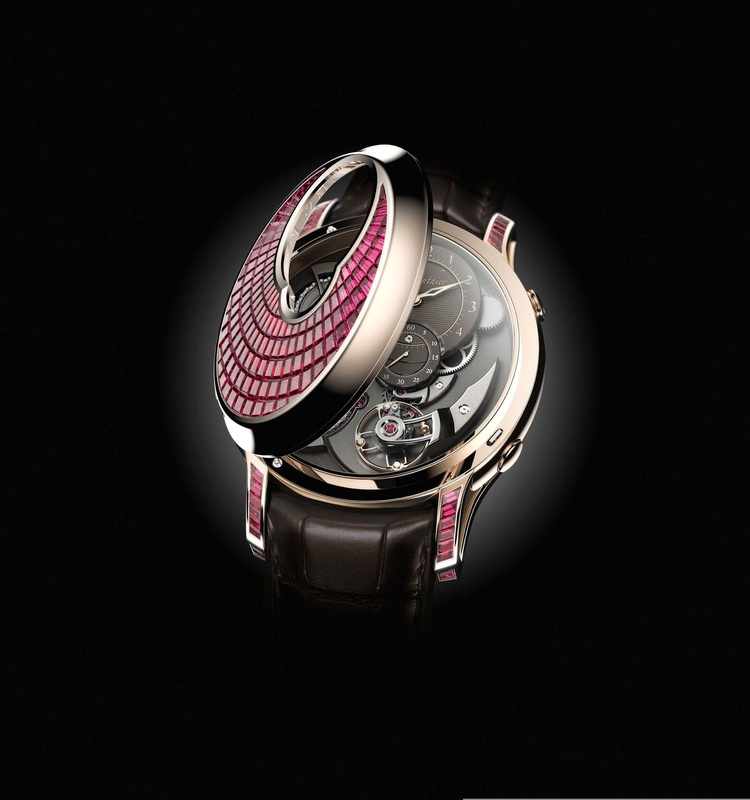 In 2013, Romain Gauthier unveiled Logical One, an extraordinary mechanical timepiece loaded with many innovations. Logical One features the quadruple-patent-pending Romain Gauthier flat chain and-fusee style constant force system with ruby chain links, ergonomic push button winding system, dial-side visible balance, mainspring barrel with sapphire inserts, plus a 60-hour power reserve indicator. 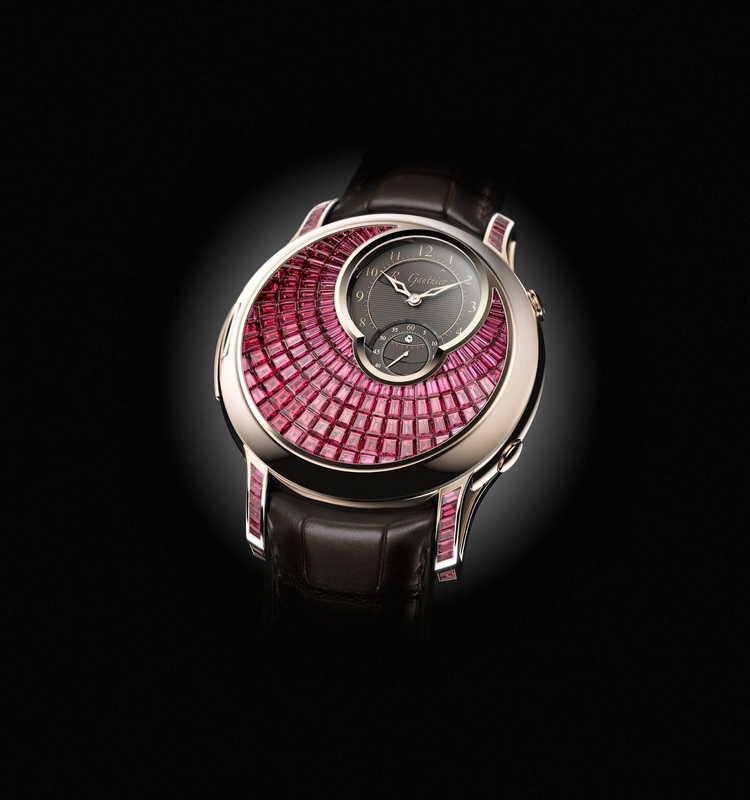 This year, the master watchmaker is introducing high jewellery versions of Logical One – The Logical One Secret Diamonds & Logical One Secret Ruby – by exploring superlative expressions of fine art and haute horlogerie. 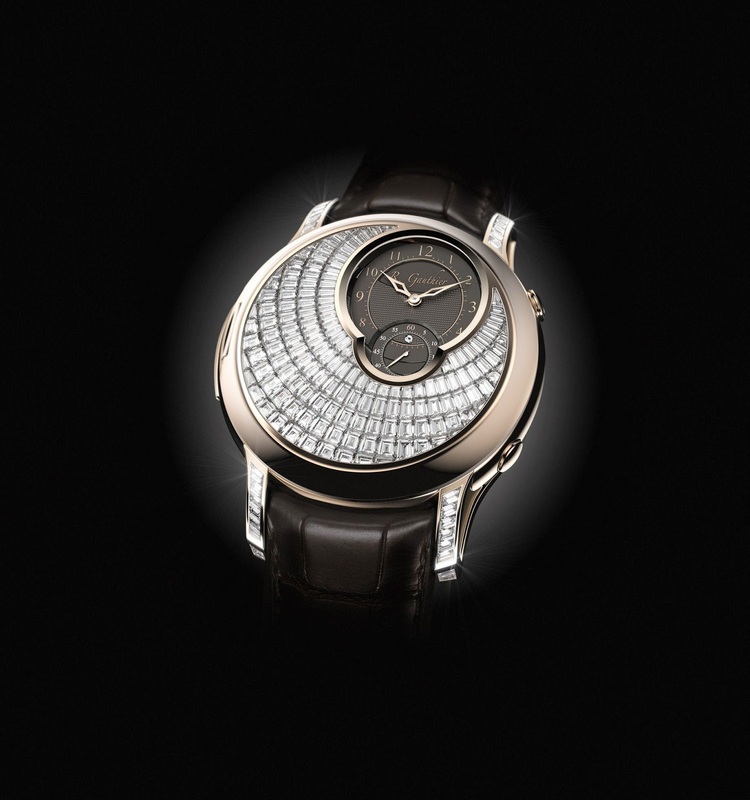 With its cover closed, hours, minutes and seconds are embraced in a glittering ocean of diamonds cascading right down to the lugs. An incredible 181 invisibly set baguette diamonds, totally nearly 7 carats, make for an ever-changing panorama of constantly glittering and sparkling reflections. A gentle squeeze on the pusher discreetly set into the case band at 4 o’clock lifts the cover, revealing the intricate complexity of Logical one’s award-winning − Best Men’s Complications Watch at the 2013 Grand Prix d’Horlogerie de Genève − multi-patented constant force movement. The fully integrated cover sensually follows the form of the sapphire crystal underneath to create a canvas for artists of many mediums such as gem setting, guilloche, miniature painting, enamelling, and engraving. And besides the sheer transcendental aesthetical magnificence of a cover and lugs blanketed in 100s of stunning diamonds, they also provide a practical advantage in creating an extremely scratch resistant case. Hours, minutes, small seconds, 60-hours power reserve, push-button winding and innovative chain-and-fusee style constant force system.